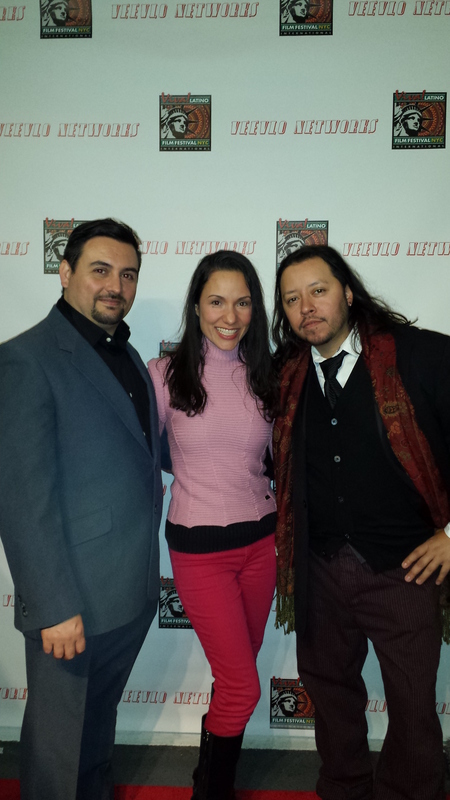 Los Angeles filmmakers, Jade Puga and Richard Montes, screened their original Indie film, Aguruphobia, at four-day event Viva Latino Film Festival NYC International in the Big Apple. The concept for the production of Aguruphobia was to break away from stereotypical images of Latinos often found in mainstream films and to shed light on an issue most Latinos avoid talking about: mental health. Both Puga and Montes acted in, produced and directed the film and also co-founded its production company Safada Y Sano Productions. “Making this film was important to us because we feel that American Latinos are invisible in the media,” said Montes, who started Safada Y Sano Productions with the goal of expanding the way Latinos are represented in film and the hope of telling more stories involving Latinos born in the U.S. The film’s protagonist “Crystal Luna”, played by Puga, is a schoolteacher terrified to leave her home. In an attempt to overcome agoraphobia, she discovers spiritual guru Nanak on the internet. At first Nanak seems to be heaven sent but after an unexpected series of events Crystal develops a set of brand new phobias. Catering to the generation of Latinos born and raised in the U.S., Aguruphobia was shot in English and includes only a few lines in Spanish. Puga and Montes want audiences to relate to the characters, get a good laugh and leave the theater with a better understanding of a few issues which are taboo in Latino culture, mainly mental health. According to the National Alliance on Mental Illness, fewer than 1 in 11 Latinos contact mental health care specialists, while fewer than 1 in 5 contact general health care providers. Puga and Montes’ wish is that Aguruphobia, despite being a comedy, can serve as a gateway for dialogue concerning this issue. 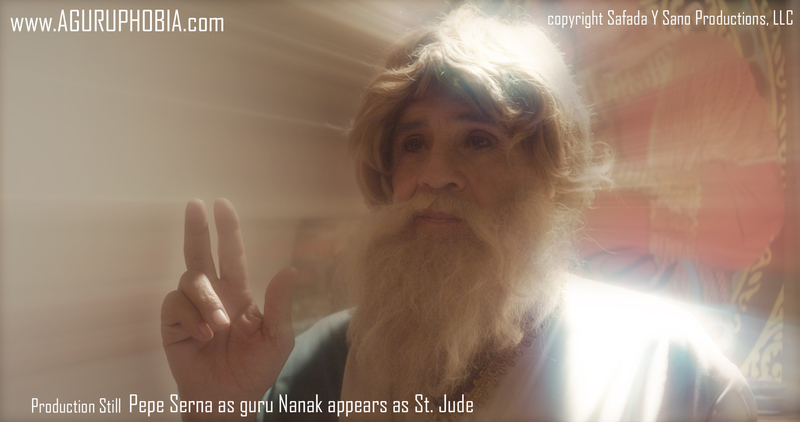 Actor Carlos Ramzey Ramirez plays Sandra, a transgender character friends with Crystal and seasoned actor Pepe Serna, whose been in more than 100 feature films including Scar Face and Silverado, plays spiritual guru, Nanak. The film Aguruphobia has already provoked strong reactions from viewers. “After one of our film screenings, a family approached us to talk about their transgender son,” said Puga. The family told Puga that their son had been alienated in his community and decided to moved away to live his life as a woman. Puga and Montes will screen their film in Texas and California. Other films produced by them include Lost Angeles Ward, Pass The Mic, Toci: A Mexican Tale and Liberation. To watch the films and trailers please visit Safada y Sano.